Joomlaeventmanager.net - Best Free Event Management for Joomla! If you feel like you can contribute to the development, feel free to visit the forum and see how you can participate. We just released Version 2.2.3. Apart from many little fixes (see the changelog for details), we have added some nice new functions like Copy buttons for events and venues, straight from the details view and Calendar view, Ajax functionality now implemented in the standard Calendar Module (supports Ajax whenever possible), and registrations are now cleaned up on event deletion. Version 2.2.2 is out, now using the Joomla! Update System, so you will never miss a new version again! We also improved the code, thus making our rock stable extension even faster than before. We introduce custom fields in modules and there is a brand new plugin to list your events in any article. JEM 2.2.1 has been released, see the changelog. JEM 2.2.0 has been released, featuring enhanced registration options! Off course the Mailer plugin has also been updated with these new features too! JEM 2.1.6 has been released. JEM is now fully PHP7 compatible! We also introduce a sidebar in the backend views when installed on Joomla 3, thus giving JEM a more native J!3 user experience. Event registration has been enhanced, to allow attendees to send an additional comment with their registration. And apart from this, many, many smaller enhancements and bug fixes. A new version of JEM was released. Along with a lot of smaller improvements (see the changelog for them) we are taking a huge step forward, bringing JEM in line with the standard Joomla ACL rules. If you use template overrides please note that all views have been changed and there is a good chance that your overrides won't work as expected. So please check the changes and adapt your files. Today, the development team announces the immediate release of version 2.1.4.2, which is a security update for JEM. We call upon all JEM users to update to this new version as soon as possible! More info in the changelog. Additionally, you will find a new module in the package: the Jubilee Module. This module shows (past) events on a specific (e.g. current) day and month ignoring the year. Useful e.g. for a birthday list. 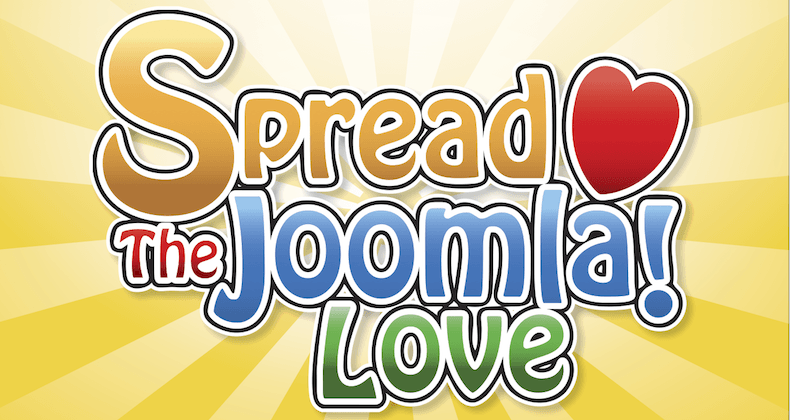 It's our birthday gift to the Joomla! Community that now celebrates it's 10th Birthday! A set of updated languages pack has been uploaded to the site. The current version for all languages is now 2.1.4. Also, an initial file for Polish and Ukrainian have been added. thank you to all translators! Want to help out translating too? Check our translation project at Transifex. JEM is without any doubt the most popular free Event Management Extension for the Joomla CMS. A big Thank You to all volunteers! JEM 2.1.4 for Joomla 2.5.x and Joomla 3 has been released. Again some bug-fixes and many improvements like Automatic import from Eventlist 1.1! JEM 2.1.3 for Joomla 2.5.x and Joomla 3 has been released. JEM 2.1.2 for Joomla 2.5.x has been released. This version fixes a lot of issues, please see the changelog for details. please not it does not yet install on Joomla 3.4, but we hope to release an updated version within approx. one week. JEM 3.0.7 was available only for testing, meanwhile deprecated - no help guaranteed. JEM 2.1.1 for Joomla 2.5.x has been released. We are also happy to announce JEM's first Chinese translation! JEM 2.0.3 for Joomla 2.5.x has been released. The JEM Team is very proud to announce that as of today JEM is listed on the official Joomla Extensions Directory! We are confident this will increase the awareness of our component and with the increased number of downloads and users, the community will show a further growth. Today the JEM community proudly announces the immediate release of our first production-stable version: JEM 2.0! With this version we will apply for an official listing on the Joomla Extensions Directory. Hopefully that will bring this component under the attention of a bigger public and will attract some more folks to relief our development team. While the original forum on Schlu.net is down we will keep hosting the forum for Eventlist here. There are still thousands of websites running this component, and community support is essential for most users. It would be a pity if all the knowledge about Evenlilist would be lost for future reference. If you find JEM useful and if you use it on your site, please consider a donation to the project. Joomla is a registered trademark of Open Source Matters, Inc. in the U.S. and/or other countries. The Joomla Event Manager Project is not affiliated with or endorsed by Open Source Matters, Inc.